Archaeology Summer Camp provides an opportunity for 12-15 year-olds to work on a real archaeological dig. 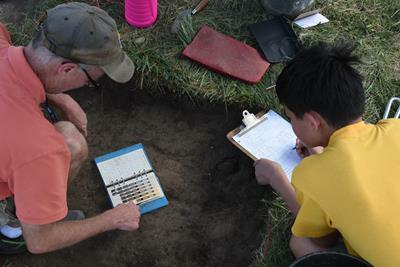 Campers spend a week helping Alexandria’s City archaeologists excavate a real site while learning professional excavating, recording, and artifact processing methods. Uncover Alexandria’s buried past while protecting the City’s valuable historic resources. Summer camp applications can be found online at www.alexandriava.gov/Archaeology. Registration is limited, and all applications are processed on a first come, first served basis. You must submit both an application and payment for your spot to be held. Refunds cannot be made after June 1, 2019.